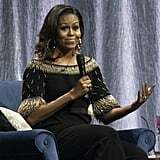 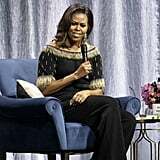 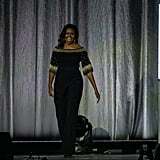 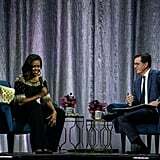 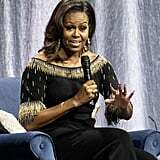 Michelle Obama has worn so many glamorous outfits during her book tour throughout Europe, we're honestly having a hard time deciding which one reigns supreme. 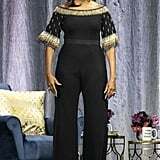 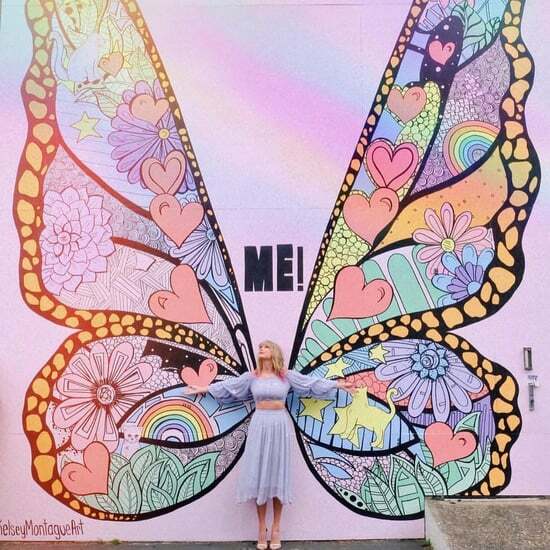 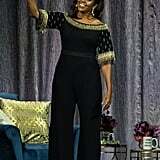 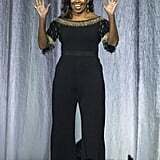 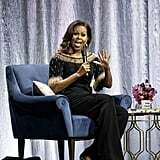 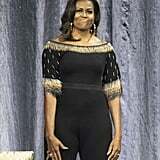 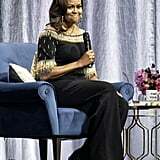 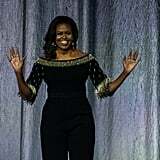 A few days after rocking two crystal-encrusted pastel suits back to back (one was blush pink and the other light mint), the former first lady chose a black embellished jumpsuit while promoting her memoir, Becoming, in London. 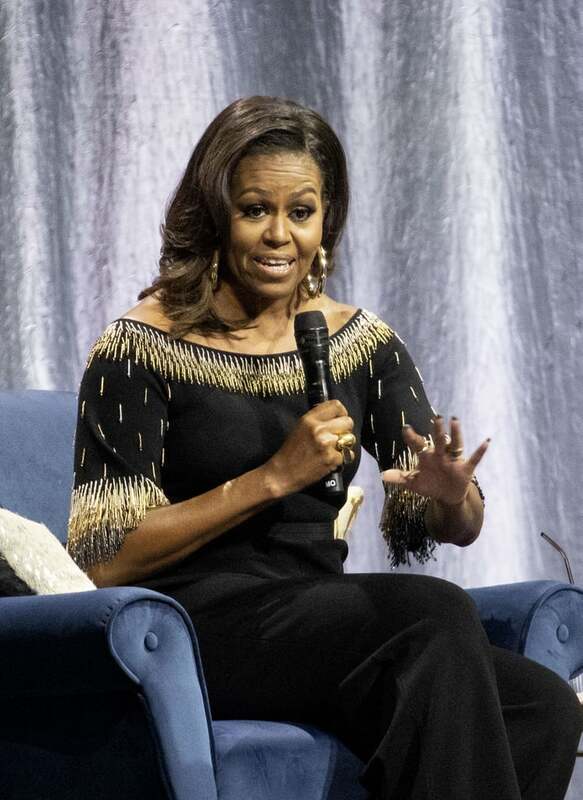 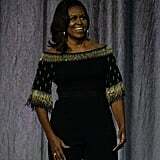 A custom Stella McCartney piece, Michelle's outfit featured a tasteful off-the-shoulder design and shiny ombré beading that blended silver, gold, and gunmetal trimmings. 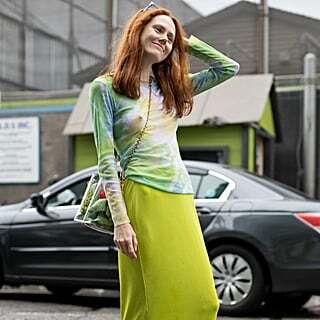 It looks like the perfect New Year's Eve ensemble, if I do say so myself.